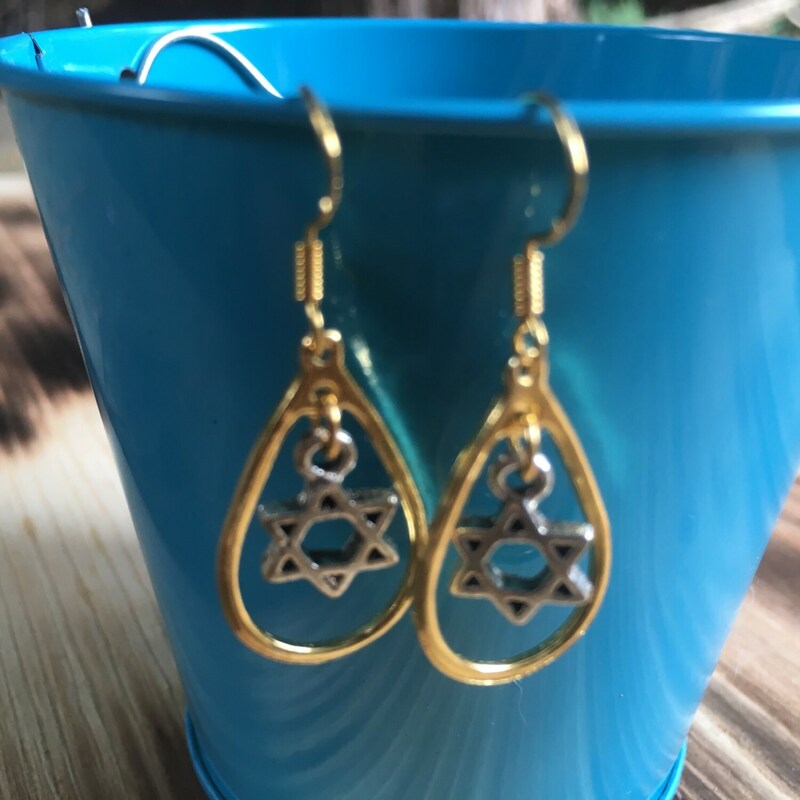 These gorgeous gold and silver Star of David earrings are a perfect statement piece. These earrings are hypoallergenic. The hooks are 15mm Sterling Silver and 21 gauge. The Sterling Silver fishhook has a modern 2.5mm ball. The loops are 15mm x 25mm. These are a perfect Bat Mitzvah gift!